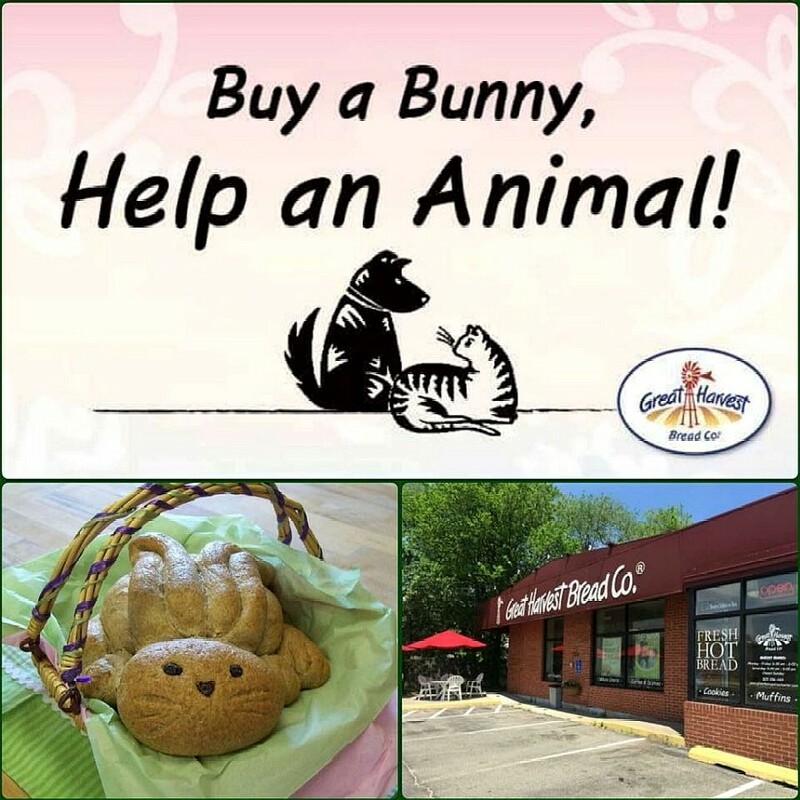 Our friends and supporters at Great Harvest Bread Company Rochester, MN will be baking Honey Bunnies again this year with $2 of every bunny purchased going to Paws and Claws. This is the kind of of Bunny purchase we approve of! Call 507-288-1101 to reserve your Bunny for Easter.